This has been a quiet week on Instagram because it's been half term here in the UK so my girls and I have had a week in London with my sister and her girls and I tend to IG very little of family life. So one of my few posts this week consists of one scrappy binding made from three Sweetwater Feed Company fat quarters. This is something I do a lot when I'm working with a FQ bundle and have no yardage of the line to make a binding. If you sew two or more FQs end to end then cut strips from that, it makes a lovely scrappy binding. On the right is something similar I made earlier this year with Gardenvale cheater print FQs. 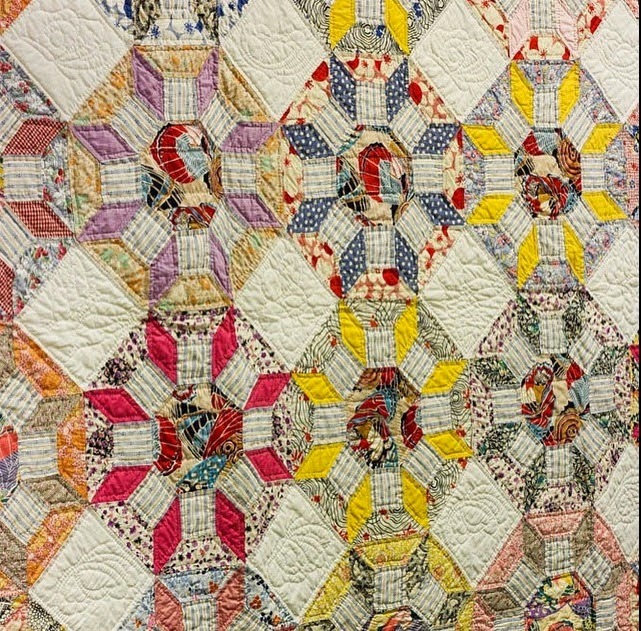 Over the weekend I got a bit sidetracked after seeing the photo below, taken by Cotton Berry Quilts, of a beautiful vintage quilt. I drew up the block in Touchdraw (graphic design app for iPad) finishing at 14.5" and posted it on Instagram to see whether anyone else knew the block. It turns out it's called Castle Walls and Amy Badskirt had drawn up an even larger version of the same block and had posted a tutorial for it on Sew Mama Sew a while back. This is definitely a block I'd like to make into a whole quilt although those y seams are a bit daunting. 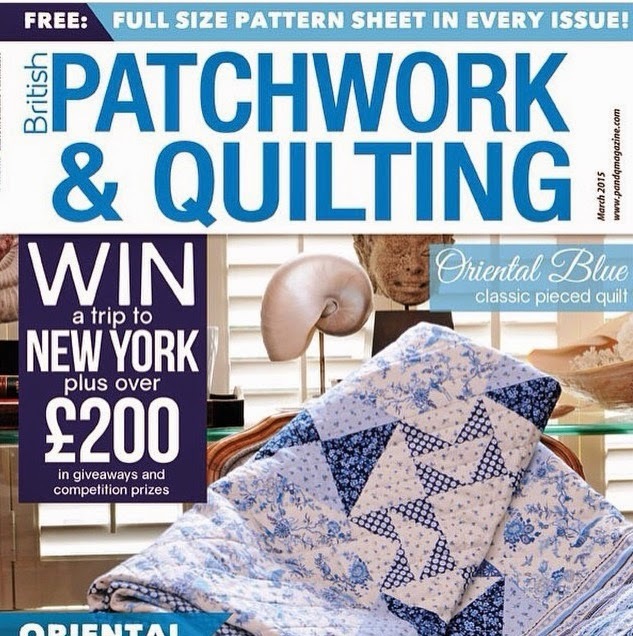 And finally, I found out that the quilt I made from Makower using their Oriental line a few months back will be on the front cover of British Patchwork & Quilting this month. Hmm, interesting block. Couldn't you turn the yellow and dark grey into HST? That would get rid of the half hexi and the potential Y seam. I love that vintage quilt! Y-seams schmyseams, I say! go for it! cheap ray ban sunglasses clearance something wrong brother, weak http://www.centremk.co.uk weak said. You get out. cheap Bao He soon Road. Brother laughed, and quickly ran out, it seems that chick kissed his face. cheap ray ban sunglasses clearance ray ban sunglasses clearance sale Lawrence of. sale, we do not have so much desire, in fact, find a nice chick, there are tens of thousands of dollars, we would be very satisfied. If a child does cheap ray ban sunglasses clearance cheap suddenly found himself cheap ray ban sunglasses clearance fooled, brother this is intentional.